Diamonds are the most valued and treasured of all gemstones. A diamond is harder than any other material on earth, earning it a 10 on the Mohs Scale Ranking for hardness. They can only be cut by other diamonds. Their hardness and other special qualities, such as how they refract light, allow them to be cut into the amazing gems we know today. Diamonds are most popular as a colorless, brilliant, light reflecting gemstone. They come in many colors, including pale yellow, black, blue, brown, green, pink, purple, or red. For all the beauty and complexity of a well-cut diamond, they are the simplest of gemstones in the chemical sense: pure carbon, the same as the graphite in a pencil. The carbon crystals are formed under intense heat and pressure deep within the earth, and are forced to the surface by geological events. GIA, The Gemological Institute of America, has created internationally recognized criteria for diamond grading. Visit their site to gather information that can be helpful while making a decision, especially one that carries couples forward in their journey together. Diamonds are graded using a system that defines their color, clarity, cut, and carat weight. These terms are known collectively as The Four C’s. When shopping for diamonds, a basic understanding of these terms is useful in selecting the best stone for the best price. D, E, F – colorless, with D being at the top of the “colorless” scale. G, H, I, J – are near colorless. K, L, M – are faint Yellow. N through R – are very light Yellow. S through Z – are light yellow. Z+ – these Diamonds are called fancy diamonds and these gems come in a wide range of color with red being the most rare. Carat (ct.) weight is how gemologists measure a diamond’s size. Carat weights are traditionally measured in 1/4 carat increments. Most jewelers carry stones ranging from 1/4 to a 1/2 ct. up to several carats in size. If a diamond is of good quality, its size does increase its value since larger stones are rarer. A diamond cutter considers symmetry, shape and facet design before choosing the best cut for each stone. Diamonds are cut to exact, mathematically proven proportions to ensure all of the light entering from any direction is reflected through the top of the diamond. A diamond’s symmetrically placed facets produce the ultimate in brilliance and beauty. The process of cutting a diamond is an art form and famous diamond cutters are highly respected for their talents. Most diamonds have naturally occurring internal characteristics called inclusions. These internal inclusions occur when a diamond is formed deep within the earth during the crystal formation and make each diamond unique from another diamond. The fewer and smaller the inclusion, the rarer the stone. A diamond should be clean to the naked eye. Flawless – Free from all inclusions or blemishes, at 10x magnification. Internally Flawless – No inclusions visible at 10x; insignificant surface blemishes. Minute inclusions – Extremely difficult to see at 10x. Minute inclusions – Very difficult to see at 10x. Minor inclusions – Difficult to see face-up at 10x. Minor inclusions – Somewhat easy to see face-up at 10x. Noticeable inclusions – Easy to see at 10x. Noticeable inclusions – Very easy to see at 10x; Maybe visible through the pavilion to unaided eye. Obvious inclusions at 10x – Visible to unaided eye. Obvious inclusions – Easily visible to unaided eye. Prominent inclusions – Extremely easy to see with unaided eye; usually affect durability. Almost universally, diamonds have been associated with virtue, purity, strength, wealth, power, and love – and, not surprisingly, it was a small jump for diamonds to become the modern symbol of love – diamond wedding rings have been popular for hundreds of years. They were believed to ensure fidelity and strengthen emotional bonds. Today, they are the preferred gift for all manner of romantic occasions. Conflict diamonds are diamonds mined in African combat zones that have funded civil war and abuses against the civilian population. 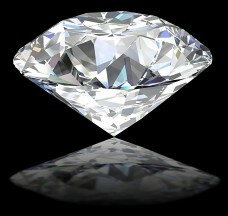 Such diamonds are estimated to account for less than 1% of the world diamond production. All of the nations with involvement in the diamond trade and the leading industry and jewelry associations have cooperated in creating a global certification system to prevent criminals from placing these conflict diamonds into the legitimate diamond supply chain. To supplement this government effort, leading organizations in the jewelry industry have created a voluntary program of self-regulation. 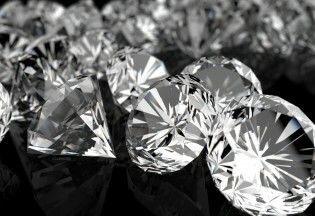 JL Jewelers is a part of this legitimate diamond supply chain that is called the Kimberly Process Certification Scheme.